Before its engagement with SyncShow, Seaman Corporation’s FiberTite website didn’t allow for data capture or lead tracking. The industrial fabrics company also hadn’t generated many sales from the FiberTite website. With no social media presence, no blogs and not much tracking done on the current site, the website accounted for less than 20 leads per month—most of which were not sales qualified. Digital marketing efforts were also focused strictly on nurturing past or existing customers. It was important for Seaman Corporation to communicate FiberTite's benefits—specifically, how the roofing membranes are high quality and low-maintenance products that are the best option compared to the competition. 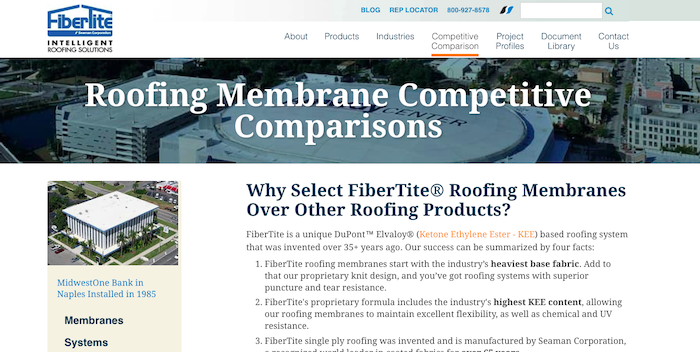 Getting overshadowed by competitors in some markets, Seaman Corporation in 2015 evaluated different firms to establish an inbound lead generation strategy for its FiberTite roofing membrane brand. After evaluating five firms, SyncShow was chosen. First, the SyncShow team redesigned FiberTite’s site for better usability and functionality. We then created and implemented an inbound marketing strategy to achieve their goals. We wanted to attract the right buyer to FiberTite’s website, supplying relevant content at the right time. Our team identified detailed profiles of the top three buyer personas, complete with pain points, goals, objectives, where they can be found online and the marketing messages that will appeal to them. To date, 140 blogs have been published and blog subscriptions have grown an average of 38 percent YOY. 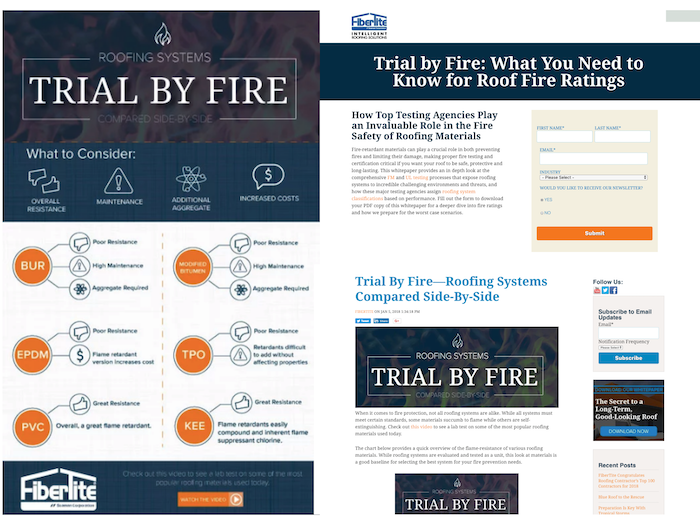 One of FiberTite’s top-performing blogs to date is “Trial by Fire,” which has seen a total of 420 views and 26 clicks (a 6.9 percent click-through rate) in just seven months. “Trial by Fire” provides an overview of the flame-resistance of various roofing materials and highlights how FiberTite is superior to the competition when it comes to its flame-retardant capabilities. The blog post—which has generated a submission rate of 25 percent and seven new leads for FiberTite—is part of a campaign that also included a downloadable whitepaper and an infographic. Among the case studies was the Westin Denver International Airport, a project where FiberTite’s solution included the ability to withstand extreme weather conditions, long-term exposure to harsh UV rays and overall resistance to jet fuel to protect occupants. 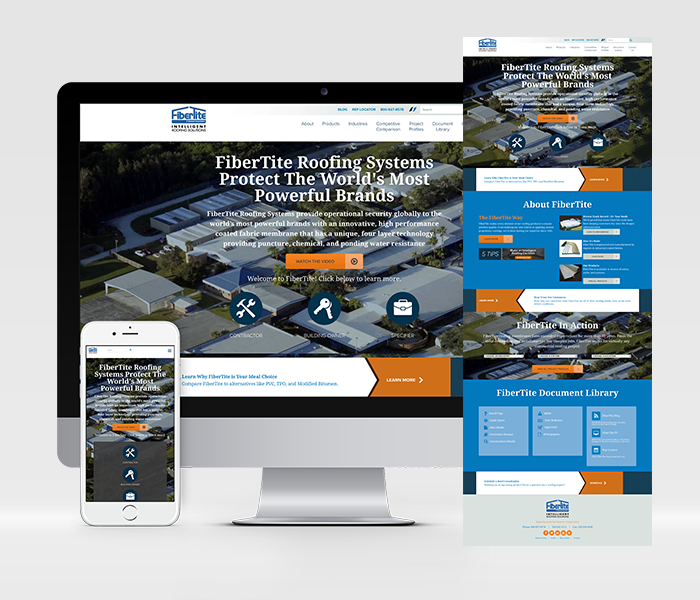 During natural disasters such as hurricanes, tornadoes and severe winds, FiberTite uses paid search to sell its Blue Roof™ temporary roof membrane for commercial, industrial and large-scale residential roofs. A monthly newsletter to help keep us top-of-mind with customers, leads and offline contacts (e.g., trade show publication leads) by providing educational content. Since redesigning the FiberTite website on HubSpot and developing strategic content and inbound marketing initiatives, Seaman Corporation is not only hitting its sales numbers and marketing goals, it’s beating them significantly. Part of that success can be attributed to the goals we set for metrics and HubSpot’s reporting tool that we use to continue to track and report data on a monthly and quarterly basis. It’s important to manage the performance of your marketing strategy to maximize its effectiveness and optimize your return on investment (ROI). As a result, FiberTite reached its $100 million sales goal of its online inbound marketing and offline sales and marketing efforts. Implementing an inbound marketing strategy and establishing a solid momentum in their flywheel has made a tremendous impact on FiberTite sales, and SyncShow is proud to be a partner in this endeavor. The flywheel is a continuously cyclical experience that keeps prospects, customers and your biggest evangelists engaged through the momentum you’ve been building and continue to add to over and over again. A flywheel approach coupled with digital communications can be a powerful first start to building a customer experience that keeps customers coming back for more. We look forward to continuing to push the boundaries for FiberTite’s inbound sales and marketing efforts in the years to come.